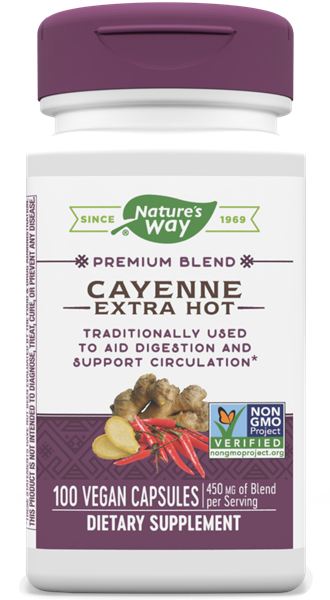 Cayenne Extra Hot / 100 Caps - Nature's Way®. First time Cayenne users should begin with Nature's Way® CapsiCool® Cayenne with a milder 40,000 Heat Unit. Caution: May cause stomach irritation. If pregnant, nursing, or taking any medications, consult a healthcare professional before use. Provides the benefits of Cayenne.